Metropolitan Museum of Design Detroit and co-host Detroit Center for Design + Technology is hosting an “IN” the round discussion on the good, the bad and the ugly of design collaborations and you’re invited! The informal in-person chat will loop-in some of the featured illustrators and designers from the recent Mm-O-Dd 2D3D Hero exhibition within the DCDT Gallery today, November 14, 2018 from 6-8pm. 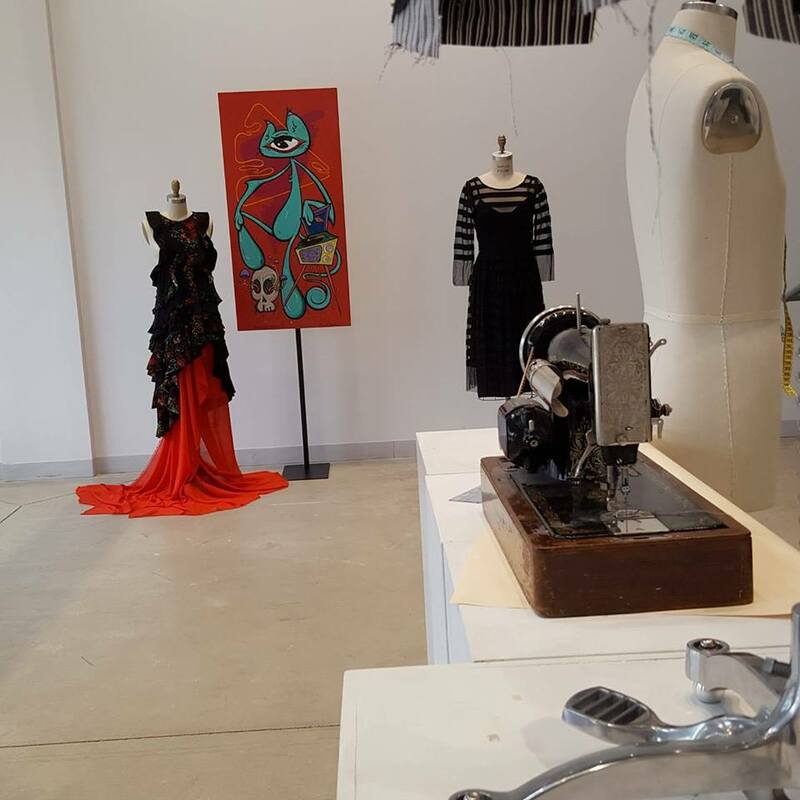 Recently, Mm-O-Dd hosted a design dare challenge for local fashion artists and fashion designers. The event was held at the Fisher Building downtown Detroit. (Click here to view photos from the event). Following the presentation, select illustrators and designers are now showing their work for everyone to view at the Design + Technology gallery, Monday – Friday, from 9am- 5pm. The event is free and open to the public. The gallery is located at 4219 Woodward, Detroit. Click here to learn more about the Crossroads of Collaboration event.